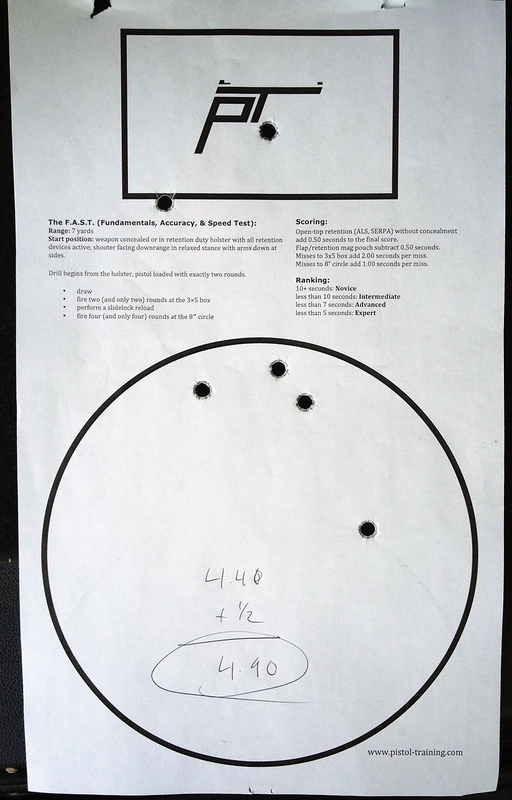 This afternoon I spent a few hours at the range practicing some drills with a friend. After shooting for about an hour we both shot three F.A.S.T. drills. On my third attempt I got what I think is my best time/score ever (4.40 secs w/out a cover garment). Afterwards we shot another friend's new Jerry Miculek Mossberg 930 shotgun. You can see the video of that here.